Family Christian Stores are currently having a Bible sale. 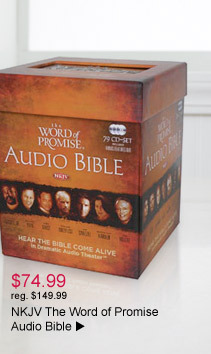 The sale runs through 11/10, and you can get 50% off select Bibles. They also have a new coupon out good for 25% off your entire purchase of regularly-priced items. Visit the Family Christian Store website to print out your coupon (exp. 11/13) or use code 126448381 if shopping on-line.